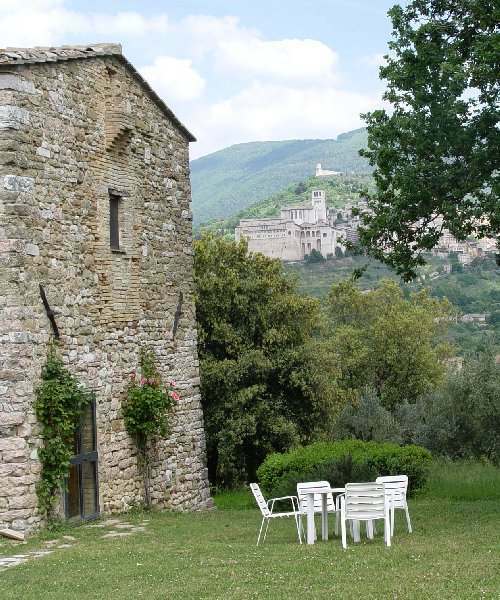 Borgo Colderba is a delightful cluster of medieval buildings, barely 2 kilometeres from Assisi. 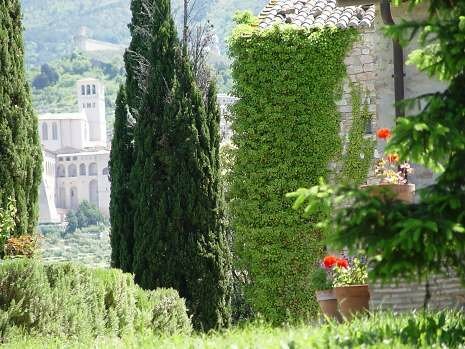 The original setting is a farmhouse and the surrounding buildings, which have been transformed into 3 completely independent villas with kitchen, dining area, bathrooms and bedrooms complete with a private garden area. 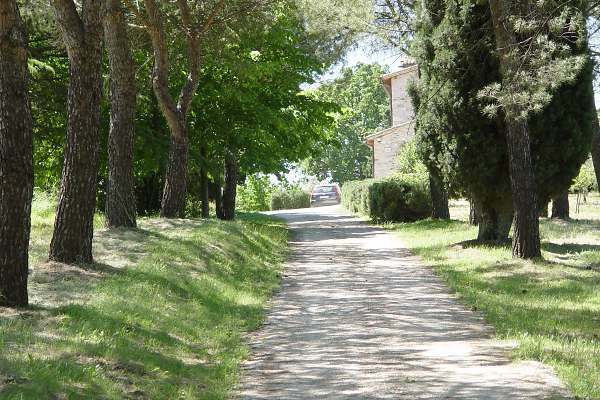 The whole Borgo is set on a small hill in front of Assisi in the centre of a park which has been entirely fenced off. 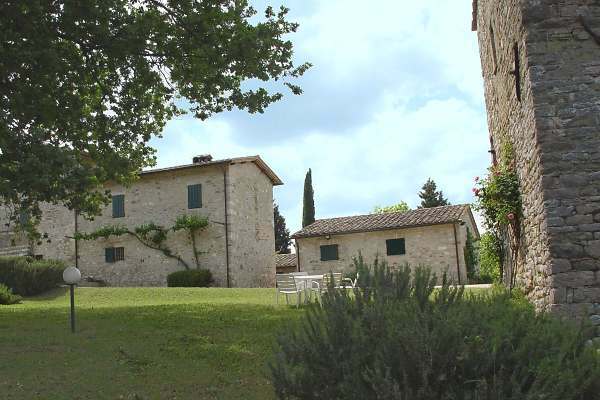 It is an ideal place to enjoy the quiet of the country and the culture of the surrounding Umbrian area, being accessilble to Spello, Spoleto, Perugia, Todi, Deruta and many other beautiful etruscan hilltop towns. The tower is composed of 2 floors. On the ground floor there is a spacious sittingroom, dining area and kitchen, an outside spiral staircase leads to the first floor with a spacious bedroom with a high ceiling and an adjacent bathroom. 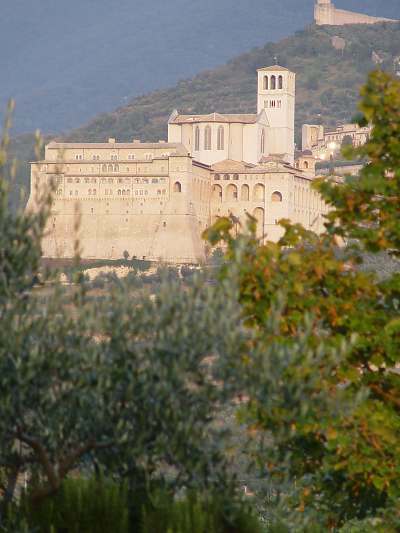 The tower has a spectacular view of Assisi and is the oldest of the buildings dating to 1100. 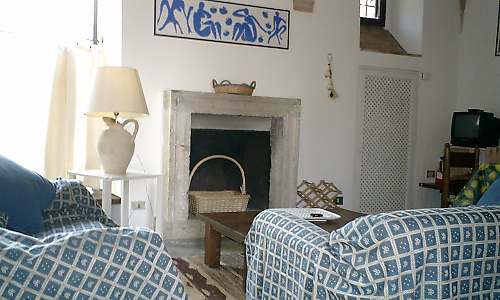 The largest of the three houses for rent has a big central sittingroom, and dining area and cooking area. 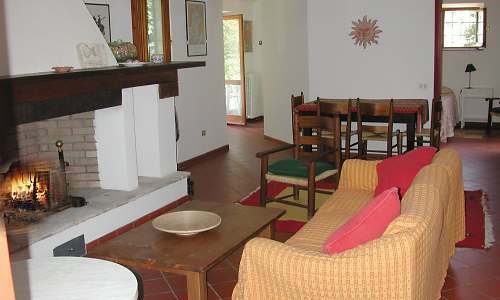 The two bedrooms give onto this large central area, and the bathroom is large and comfortable. 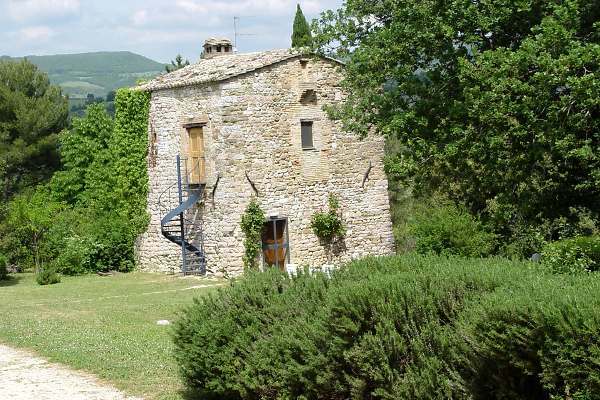 The capanna is the smallest of the houses, having a comfortable bedroom, and a separate sitting/diningroom. The bathroom is large and airy. Low Season: from OCTOBER to APRIL High Season: from MAY to SEPTEMBER. 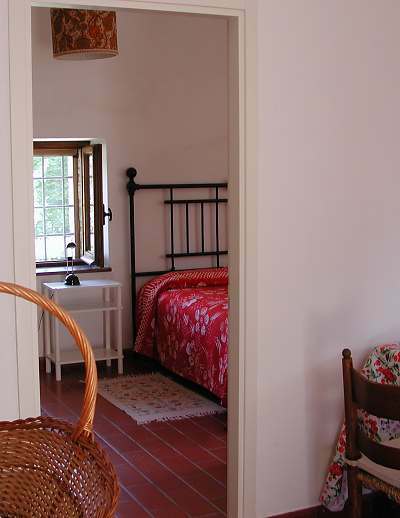 Prices in Euro, per Saturday – Saturday week, inclusive of electricity, gas, use of barbecue, bedlinen, bath towels and kitchen towels (changed weekly), final clean. The prices does not include heating. An advance payment of 30% requested at the time of booking. Deposit: € 150,00. The following credit cards are accepted: VISA – MASTERCARD – DINERS – AMERICAN EXPRESS. Method of Payment: A third (1/3) of the total cost must be paid when your reservation is confirmed by cheque (Travelcheque, Eurocheque, American Express), or by bank transfer with a fax confirmation. The remainder must be paid upon your arrival. In case of cancellation on the part of the client (at least 30 days before your arrival) the down payment will be kept as payment for cancellation. We recommend purchasing travelers' insurance that will cover the cost of cancellation.